Sidewalk Tacos' challenge was to identify a striking restaurant branded concept in a place where there’s a taco stand on every corner, Los Angeles, California. 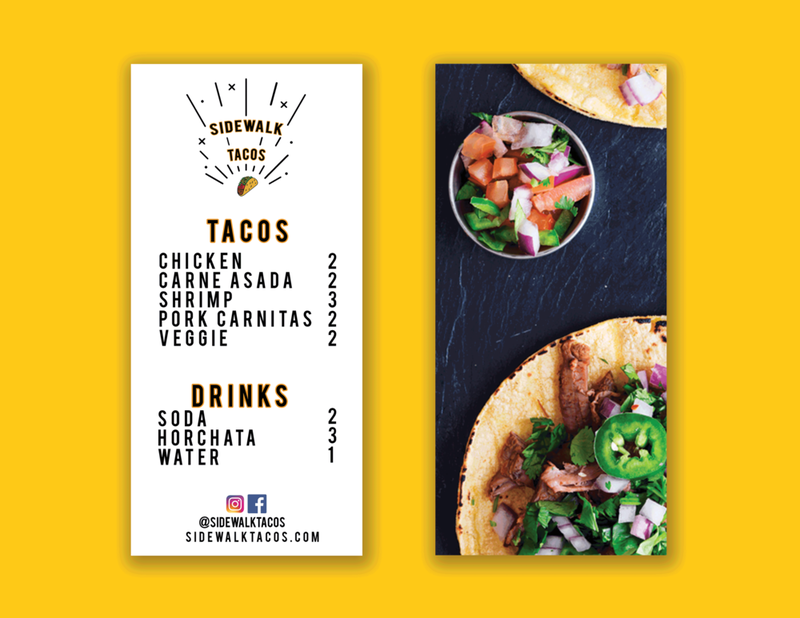 Sidewalk Tacos' new design reveals a leading-edge, lively approach that sparks an everlasting attitude to an authentic Mexican meal. 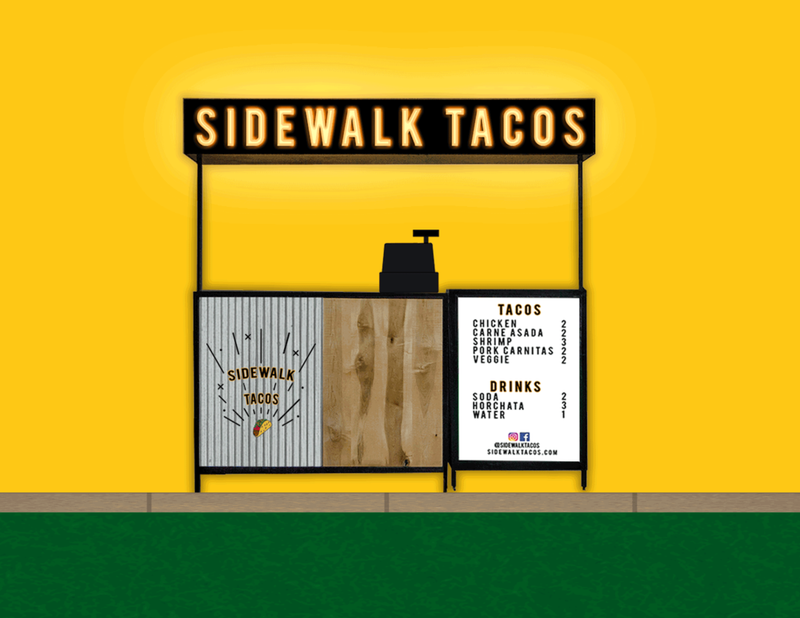 It's brand, messaging, and packaging brings to life the necessity of incorporating Sidewalk Tacos into an everyday LA tradition.